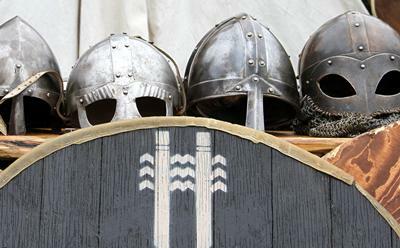 Research led by the University of Southampton, Queen’s University Belfast and the University of Surrey has produced new evidence that suggests the Vikings brought leprosy to Ireland. This finding is significant as little is known about leprosy in Medieval Ireland and the discovery adds to the growing body of information about the evolution and spread of leprosy in the past. 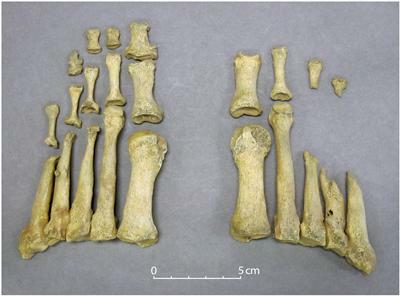 The study focused on five cases of probable leprosy identified in human skeletal remains excavated from burials in Ireland. Three of the individuals were from a cemetery in Dublin, and two came from County Kildare and County Antrim. Genetic investigations (genotyping) of the leprosy bacterium (M. leprae) strains in two of the Dublin individuals, which dated from the early 10th century through to the 13th century, revealed they had been affected by two different strains of leprosy. One had probable origins in Scandinavia (Type 3), while the other first developed in the Middle East (Type 2). 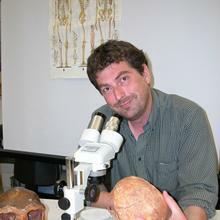 The Dublin skeletons were also chemically examined to determine where the individuals had spent their early years. None of the three individuals appear to have been local to Dublin and, while one may have been British or from the north of Ireland, the remaining two grew up in Scandinavia. The results of this study are suggestive that a previously overlooked aspect of the Viking legacy was the introduction of leprosy to Ireland. Professor Eileen Murphy, from the School of Natural and Built Environment, Queen’s University Belfast added: “Relatively little is known of leprosy in Medieval Ireland; as an island located at the far west of Europe it has the potential to provide interesting insights about the historical origin of the disease. “Ireland is of particular interest in the history of leprosy as it was never part of the Roman world nor underwent any significant occupation by later Anglo-Saxon settlers. “This study has revealed that despite its location on the western extremity of Europe, Ireland and, certainly, Dublin was not isolated from the rest of the world during Medieval times. Multiple strands of archaeological evidence indicate it was a vibrant port town throughout this era, a situation that brought the benefits of wealth but also facilitated the spread of infectious diseases.